The Client is the Malaysia division of a US-based company that supplies information and analytics products to professional and business customers worldwide. Its primary product line includes content-enabled workflow solutions for use in legal, regulatory and business research. 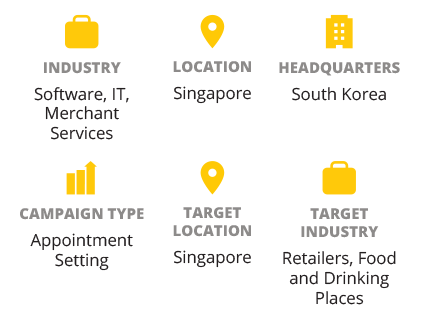 Callbox as its marketing partner, citing Callbox’s extensive database of local companies and experience in the area as crucial factors. Callbox’s multi-channel appointment setting package meets the Client’s primary goal of carrying out accelerated and targeted one-on-one outreach. The campaign’s main strategy emphasizes live phone conversations enhanced with emails and other channels. The Callbox team and representatives from the Client agree that all campaign tactics, activities, and materials should work toward prequalifying and setting up appointments with potential users of the media monitoring platform. 1. 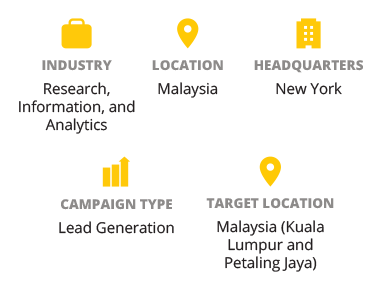 The prospect list consists of prospects handling PR or Corporate Communications at firms in Kuala Lumpur and Petaling Jaya with at least 50 employees and at least $5 million in annual revenues. 2. The call script includes probing questions that uncover prospects’ pain points encountered with their current media research/aggregation tools. The script also introduces the Client’s media monitoring platform as a viable alternative to prospects with an identified need. 3. Prospects who agree to meet with a representative from the Client are tagged as successful calls. The campaign team forwards all appointments to the Client via email notifications and Pipeline updates. As of this writing, the campaign has just wrapped up its second full month and is gearing up for the third. The Callbox team spent the campaign’s first couple of weeks laying the groundwork for the main appointment setting activities. During this time, agents focused on gaining initial traction and navigating the hierarchy of decision-makers at the target organizations. It wasn’t until the first month’s closing weeks when steady appointment setting results began to seep into the pipeline. 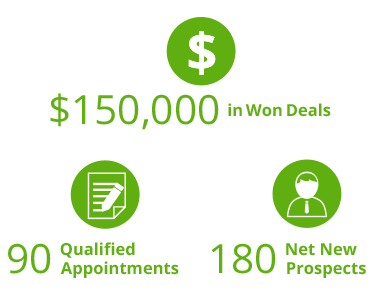 The Client maintains a benchmark lead-to-opportunity rate of 90% and a close rate of 70%. That works out to around 18 potential new users acquired from the ongoing campaign. The rapid growth in number of IT companies and the seemingly similar products and services offered tend to cause confusion among business owners on which IT service provider would best fit to address their IT needs, and the Client was not spared from such. The conventional “WIIFM” (what’s in it for me) would not make any difference at all, the IT expert thought. So the “what” was replaced with “why” as (why is it for me) for their campaign to make target customers understand why they should choose the Client as their IT provider instead of simply knowing what they offer. The campaign was successfully carried out with Callbox. 1. Though the Client had tried their best to keep their database in top condition, they still opted to have it validated by the Callbox team. 2. 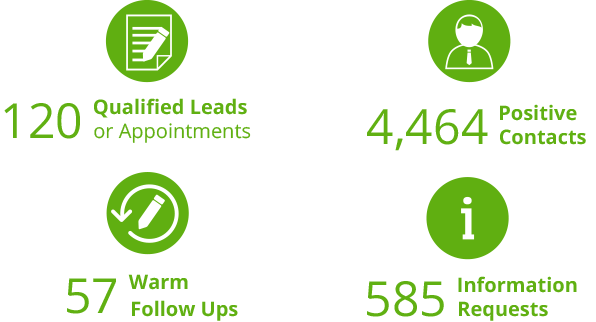 Using the Pipeline Lead Nurture tool, the Callbox team sent an initial single-page email that contained an overview of the Client’s products and services with very limited information but included teasers of a current customer’s success story to pique the prospect’s interest. 3. Active responses like opened emails, website visits, clicked links, and queries were tracked and saved for follow-up calls. 4. Invalid emails (bounces) and contact details were updated upon speaking with the prospect. 1. Callbox utilized its SMART Calling system in order to reach the right prospects at the time they are most available to talk. 2. The probing questions were not the usual that would simply draw the prospect’s needs but rather carry out realization in them what the previous strategy/provider has done to achieve their goals. Thus most prospects admitted results were below expectations. 3. Upon reaching this point of conversation, agent proposed to set appointment with the Client’s IT consultants and invite prospects to an IT seminar. 4. In order to ensure a solid appointment, Callbox agents sent a calendar invite along with a short but specific email containing information about the Client’s products and services that are probable answers to the prospect’s identified issues. The first month of the campaign generated 12 appointments and 4 registrations, but as the Calbox team got more familiar with the the target market and customer profiles, appointments delivered almost tripled in the second month with 34. In the third month, another 12 appointments were generated with 6 registrations; 16 for the fourth month and 12 on the fifth month of the campaign. The numbers escalated once again in the sixth month with 22 appointments and decreased a bit in the seventh month with 13 appointments and 8 registrations. While the eighth month took a bit of a hit with 3 appointments. The ninth month made up for the dip in numbers with 20 appointments and the tenth month closed out with 5. The 10-month campaign generated a total of 149 appointments and 18 registrations. It is worth noting, however, that the Client is still counting more appointments and registrations as they go into the eleventh month, or technically, the first month following the end of the 10-month campaign. The Client is a 16-year specialist agency that helps businesses reach their marketing objectives by bridging the gap between sales and marketing. 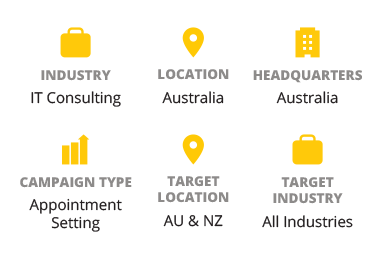 Liaising with clients and creating co-marketing, direct marketing and channel marketing campaigns are the Client’s core competencies which they’ve honed and polished with more than a decade of experience running end-to-end B2B programmes. However, business had recently lulled due to challenges in their prospecting process, which promptly impacted their ROI. The Client is the rare unconventional thinker who welcomes a partnership with the competition and recognizes in it the opportunity to progress the business. Such optimism opened doors for the Client to build a partnership with Callbox. 1. 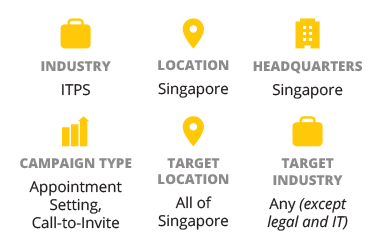 A customer profiling campaign was rolled out to validate and update the databases. 2. Contact details like company and business names, address, phone numbers, email addresses and social media accounts were updated to ensure accuracy. and also contained links to FAQs, the company website and a query box. 1. The Client launched three consecutive lead generation campaigns for three of their clients which were all HP partners. 2. Active contacts that were filtered from the customer profiling campaign were prioritized and followed up via different channels (call, email, social, web and mobile) based on the prospect’s business buying behavior which was made possible by Callbox’s SMART Calling process. 3. Each campaign required 4 out of 6 probing questions be answered by prospects in order to provide substantial data for campaign consultant about the prospect’s current printing setup. 4. Prospects who agreed to speak with the Client were sent calendar invites to keep them reminded of the appointment schedule. 5. Leads were categorized as A, B, C and D based on the prospect’s need, interest, and purchase plans. “A” leads comprised of prospects who have the need to purchase within 3-6 months, “B” prospects are interested to explore, evaluate and open to discuss about a specific printer model, “C” prospects have the need to purchase or upgrade and “D” prospects are open to discuss but without specific printer model in mind. 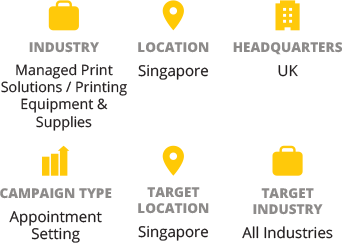 The Client is the largest HP partner in Asia, providing intelligent applications and innovative solutions and offers a wide portfolio of print devices. Any business with printing needs with main focus on Financial Institutions & Manufacturing Plants. The Client consistently delivers the best print and copy solutions for their customers – a potent commitment which brought them successes in revenue and customer care since the company’s inception in 2005. But as years passed, market competition has become tougher and the primal revenue target of 20% per year showed a dramatic decline in recent years, dipping to only 13%-15%. Due to this decline, the Client felt the urgency to regain what they’ve lost and immediately acted on the issue by taking the next best steps – looking for an outsourced lead generation partner and deciding on Callbox. 1. Callbox validated contact details in the database to ensure accuracy by sending initial emails with overview on the total print managed services. 2. Active responses like opened emails, website visits, clicked links, downloads and queries were tracked via the Pipeline Lead Nurture Tool and saved for follow-up. 3. Invalid emails (bounces) and contact details were corrected updated upon speaking with the decision maker. 1. Active contacts were prioritized and followed up via different channels (call, email, social, web and mobile) based on the prospect’s business buying behavior which was made possible by Callbox’s SMART Calling process. 2. At least 4 out of 6 probing questions should be answered by prospects to provide the Client’s consultants substantial data, a requirement fully complied by the team. 4. After each call, regardless whether the prospect agreed for an appointment or not, agents offered to share/send pertinent information about the program to prospects to ensure familiarity and build a higher chance of conversion in the next follow up call. The Client is a 50-year old market leader that provides high technology tools and systems like desktop, portable, handheld XRF and OES materials identification and analysis systems, as well as coating thickness measurement and gauging instrumentation to industrial customers with diverse needs. They design and manufacture equipment that can fabricate, analyze and manipulate matter at the atomic and molecular levels. 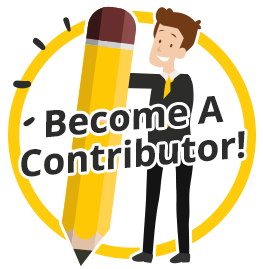 As an industry expert on providing sales and marketing solutions to a global market, Callbox, upon its initial discussion with the Client deemed the course unique and framed a fitting solution for the aforementioned concerns. The Client saw their database as obsolete as the last update was done over 3 years ago, but Callbox’s customer profiling service recreated the list as new. The Callbox team first sent out initial emails to the current list to see which contacts were still active by tracking replies and actions like website visits, clicked links and downloads. Those emails contained a one-page informational content which included CTAs like links to landing pages about specific subjects the target would be interested to see, website links, Q&A boxes and downloadable collaterals. Inactive contacts were scrubbed off to leave room for newly acquired ones. Active contacts in the old list and the newly acquired database which was provided by the Callbox team, were then called by the agent to verify all pertinent information like contact name, business name, business address, active phone numbers, email addresses, social media accounts and industry focus. Both lists were then deduplicated to ensure calling time and effort were maximized throughout the duration of the campaign. 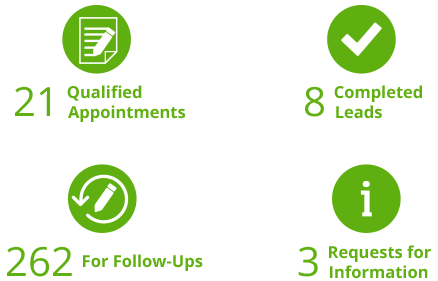 The final action in the lead generation program was appointment setting. The Callbox team meticulously drafted a script for the campaign which would uncover the target’s concerns at base level. Only three key probing questions were asked of the target but were surefire to uncover the prospect’s pain points. This opened an avenue for the Client to speak with their target prospects how their products and services would benefit their business. The combined lists from the Client and Callbox totaled to 4,894 profiled and updated records. The three-point probing approach unleashed significant answers from the prospects which were instrumental to the Client in tailor-fitting solutions for them. 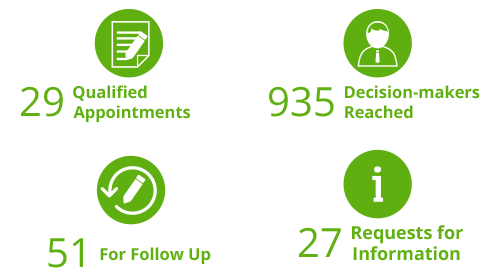 Out of the 4,894 records, the Callbox team generated 93 appointments and 51 warm follow ups, and before the three-month campaign ended, the Client was already preparing proposals for three large companies. The technology leader concluded that indeed, with Callbox’s Appointment Setting program, business advancement and expansion were imminent. The Client is a seasoned technology services provider and prides itself with a 17-year experience in e-retail services and 16 years of providing non-stop technology consulting solutions. The extensive technology background of their consultants in customizing top solutions for their clients needs enables them to widely cater to different industry types and sizes. As a technology consulting solutions expert, the Client provides a variety of services like catalog management, e-retail design and development, storefront software support, ROI optimization, Google utilization, order and inventory management, SEO, integration, product data feeds, product data cleansing, email marketing and the full service package from evaluation to analysis to tailor the best fitting solution. The Client’s email marketing strategy that sends out catalogs to prospects via regular email accounts have become less effective, for reasons the Client was not certain of. The percentage of replies decreased from 8-10% to 5-7% in the last two years. Since the catalogs were hardly opened or read by target prospects, the Q&As it contained that were supposed to initially probe the prospect’s concerns have become less usable which slowed down the process of identifying as to whether the target needs custom-built storefront or requires a minor change. Such data is significant in customizing the best solution for the prospect. The preceding root causes bore a bigger problem which impacted the whole prospecting process of the business – fewer client conversations. The Client opened themselves to options that could possibly address these issues and outsourcing to a lead generation provider came up as the top and most preferred over others like buying/renting lists and adding in-house staff to multiply the job. Callbox and the Client possess a similar characteristic in terms of prospecting and handling customers – everything goes through evaluation and analysis before customizing the best-fit solution. To ensure data accuracy, the Callbox team profiled the database. The contact details like email addresses, phone numbers, company name and address, SIC codes and social media accounts were updated. Replies and actions tracked were set as priority for the agent to call in order to probe further on the prospect’s concerns and set appointments for them with the Client’s sales consultants. Note that the consultants already have the knowledge about the prospect’s concerns prior to the appointment as all actions and queries – made via web, phone or email – were shared with them by the Callbox team. To ensure that a solid appointment is set between the prospect and the Client’s consultant, the agent sent out a follow-up email to the prospect stating acknowledgement of the recent follow-up call and confirmation of the appointment. Along with the email, a calendar event is set copying both the prospect and the consultant to avoid missed appointments. The email marketing campaign yielded a total of 720 replies out of the 4500 sent, a 50% increase from the previous average percentage from the Client’s in-house email marketing process. Out of the 720 replies (website visit, clicked links, downloaded forms), 44 (16%) solid appointments were delivered while the remaining 676 were warm follow ups that were worth nurturing. The Client was able to close 5 deals out of the 44 leads and is looking into 3 more closes before the year ends. The Client is an American company offering PaaS (Platform as a Service) cloud based applications such as VoIP Services and other products including Cloud File Sharing, Cloud Email, Mobile Device Management and AV, and Secure SMS to businesses. The Client also gives them additional value by combining private and public clouds into a single, integrated environment. The company prides itself as a one-stop shop for all IT needs and specializes in secured IT platforms for companies providing next-generation services. 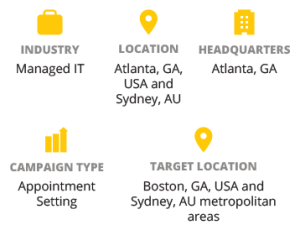 The Client is based in the state of Georgia, but covers the continental United States, targeting the Healthcare, Hotels, Retail, Law, Daycare, and Private Sector Industries. 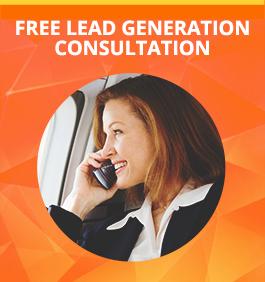 Despite working with a number of third party providers for their lead generation campaigns, finding interested companies to engage with their services for the long term was a challenge. Unfortunately for IPV Solutions, their previous partners were not equipped with the best tactics and tools that would scale up the sales numbers. It did not help that most of their present customers may not have been the best people to take full advantage of their enterprise-ready solutions that encourage and enable mobile and global connectivity. That and the possibility that their previous partners didn’t exert enough effort to uncover the prospects’ needs such as business continuity and disaster recovery protection or continuous communications and go-anywhere mobile capabilities, which incidentally, IPV Solutions provide. Hoping to find the answers to these problems, the Client searched for a reliable partner who can provide them with a list of accurate contacts and quality appointments with interested prospects who have the need for cloud integration and secured IT platforms, and who would most likely keep a long-term engagement with them. To address the Client’s problem about the quality of appointments, the team carried out their best effort to profile and update each contact information with each call, and took the opportunity to ask decision makers probing questions to uncover not just perceived, but actual business needs. 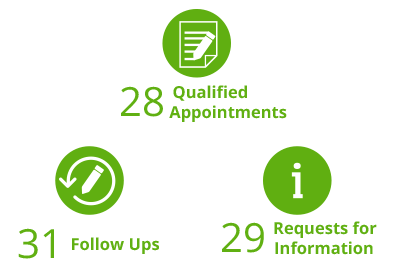 These were significant factors in generating high converting appointments. The Callbox team utilized the dependable Callbox Pipeline’s Lead Nurture Tool which efficiently automated tasks that streamlined the workflow. Lead Nurture Tool’s list cleansing feature took care of contact profiling, while custom emails were automatically sent to prospects in a scheduled manner. Part of what makes this reliable tool efficient is that, every action taken by prospects like clicking a website or submitting a form is monitored in real-time and callers respond to them immediately. As is always the case, all call activities were automatically logged in to the Callbox Pipeline, Callbox’s lead management and marketing automation platform where the Client can view, process or download reports of leads and/or appointments generated by Callbox agents. 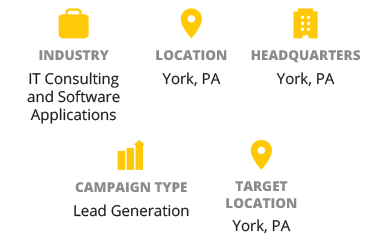 The Callbox Pipeline’s Lead Nurture Tool made sure the call list was accurate throughout the whole campaign, while the Callbox’s SMART Calling system guaranteed to reach the right prospects at the right time, when they are most available to talk. This seamless synergy turned the operation into one a hassle-free campaign. 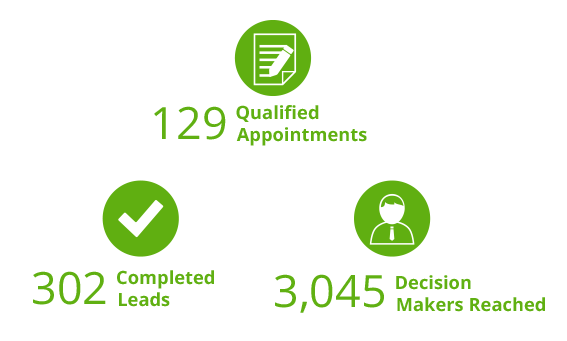 The initial three-month program has generated a total of 29 success calls (28 phone appointments, 1 lead). While not jaw-dropping, it was a stark departure from the meager results their previous partners have provided. Currently, the team is on its first renewal. Feedback from the client have all been positive – from the professional way the team members conduct themselves to the quality of appointments that have been set. As a result, IPV Solutions has decided to move forward for two more months with the engagement.